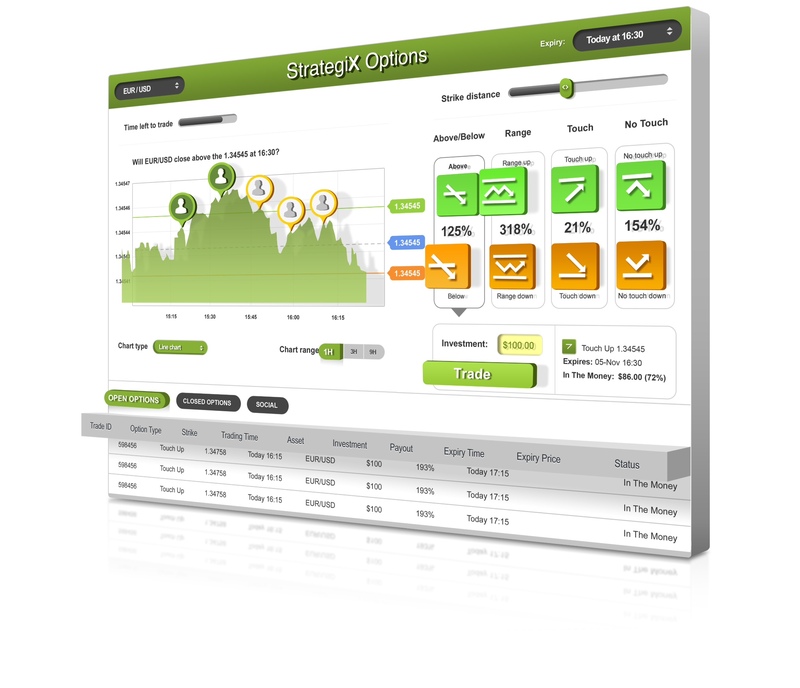 Grappling for market share within the binary options platform sector has become an increasingly uphill struggle as the entire industry has followed the direction of four major platform providers which license their software to brands, with the majority of them displaying a great deal of similarity to their competitors which use the same software. An interesting new entry into the provisioning of binary options trading environments is stalwart FX technology provider Leverate, which today launches its BX8 binary options platform. According to the company which has carved out the majority of its business by providing technology solutions to the retail FX industry, the BX8 platform places a significant emphasis on social trading, a measure which some of the peripheral binary options providers have taken recently, and in some cases have not as yet been met with the same tumultuous reception as the more conventional and somewhat ubiquitous binary options platforms. The BX8 platform takes the form of a software as a service (SaaS) product, which allows brokers who adopt it to utilize it in the form of a white label, in a similar vein to those currently representing the majority of platforms in use from the providers who concentrate their efforts purely on binary options platforms. Trader Interaction – Marketing Hype Or Added Value? Leverate’s new solution enters the market with a series of features including an integrated social trading facility, often regarded by software manufacturers as a means of reducing the cost of retention to the broker. This is particularly important in the binary options sector, whereby the lifetime value of clients is significantly shorter than that of retail FX, and when bearing in mind that the cost of client acquisition is ever increasing due to the severity of competition which now finds itself vying for market share, hence causing the cost of online advertising campaigns to increase. In reality, however, the preferences of binary options traders during the last quarter of 2013 has demonstrated that integrated social trading functionality is not necessarily a means of guaranteeing client longevity, or even as a means of attracting first time deposits from new clients. Mr. Avital brought this point to light just shortly after Tradesmarter launched its own integrated social trading function, which users enable and disable social trading via a tab on the platform. If enabled, the user agrees to show his trades and it enables him to see others, which are displayed on the actual platform itself, with the name of the trader applied to each one. A number of months on, Tradesmarter has not declared an overwhelming number of brokers who have implemented this platform. Today, Forex Magnates spoke to Mr. Avital, who confirmed that 45 brokers are now onboard. Whilst that is a considerable increase from that of earlier this year, it is clear that the existing platforms with the largest market share continue to host the majority of the white label partners, with SpotOption holding the largest number of brands, and with large FX firms choosing to partner with existing solutions providers, as in the case of Alpari having implemented MarketsPulse’s platform for its Russian audience, and SpotOption for the British division of the company, and Japanese FX firm FXTrade opting for TRADOLOGIC’s solution in October. Neither of such platforms provide an integrated social trading platform, despite Tradesmarter’s solution having become available at that particular time, demonstrating that for some firms, familiarity does not breed contempt. With this in mind, a moot point worthy of consideration is whether the intrinsic value of a newly-launched platform which is yet unproven, yet offers integrated user engagement tools such as social trading is indeed present. Certainly opinions vary as to not only what constitutes social trading, but also how it should be presented and marketed, as demonstrated by a recent discussion relating to automated strategy development which took place on the Forex Magnates Meet The Experts forum. The subject of discussion was indeed a recently launched platform, although in the FX sector, which marks itself out as a system by which traders can generate strategies and utilize them, rather than an automated or social trading solution. The discussion itself was in-depth and conclusive, yet the market coverage of iSTRAT, the subject of the discussion remains relatively diminutive compared to the existing mainstays of social trading in the FX sector such as eToro, Tradency and ZuluTrade, the latter two of which are operated separately to the trading platform. Leverate’s BX8 platform will offer Bitcoin trading, as well as that of other virtual currency. Forex Magnates revealed just last week that FX firm Markets.com was to join the increasing number of brokers who offer trading of crypto-currencies, with a strong indication that Leverate may have provided the feed for the trading of this asset class. With regard to the new BX8 platform, despite the rocky road traveled by other firms entering this segment, Leverate has great expectations. “Leverate expects to totally revolutionize the Binary Options market,” said Leverate CEO, Ran Strauss today in a commercial statement. “I actually never believe that clients of FX firms go for binary options, or that advanced traders will fall in love with binary options,” he continued. “All that MetaTrader 4 integration provides is a good selling point and according to many companies, just sounds good on paper,” is Mr. Avital’s opinion. Leverate intends to major on facilitating easy conversion from demo accounts to live accounts, by using the unusually named Smart Conversion Funnel which the company cites as being an effective means of transferring demo accounts into accounts which clients can fund and trade. The difference between this methodology and that used by FX firms, however, could be considered negligible. As yet, Forex Magnates has not had the opportunity to review the new BX8 platform as it was not proffered for review by Leverate, however the company intends to display the platform at the forthcoming iFX EXPO in Macau. 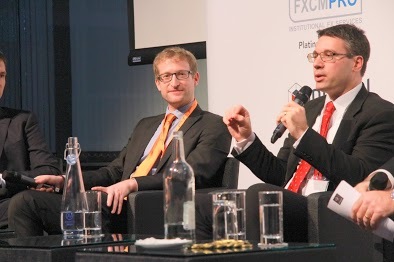 Mr. Strauss explained his view on the ethos behind traditional social trading in an interview with Forex Magnates earlier this year: “First of all, it depends on the model of copy trading. It’s very different when a broker tells its traders that he has to copy from one master trader, versus when a broker offers its clients a shared open community in which any trader can pick any other trader to copy. It is the difference between a democracy and a dictatorship,” stated Mr. Strauss. The BX8 will initially be launched with High/Low & Touch type options, with time frames ranging from 60 seconds to 30 minutes, so the offering seems aimed toward the gaming market at this early stage. In this fiercely competitive segment, packaging and cost is critical, as binary options, after all, is a bang-for-your-buck experience. It’ll be interesting to see if Leverate’s custom platform will be able to compete with other white-label solutions such as Tradologic, SpotOption, and MarketsPulse. I think the social integration is a great feature that I think other platforms are currently lacking.